Are your customers thinking about leaving you? You know you need to reinvent retention and service for the digital age, but aren’t sure how to get there. The good news? You’re not alone. Your customer have evolved. Can you keep up? 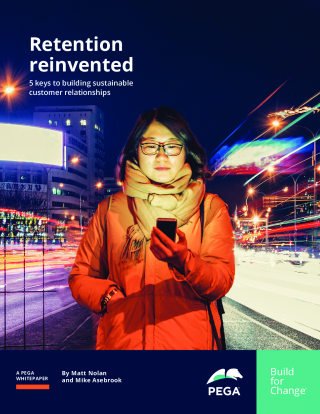 Download our whitepaper to discover 5 keys to successfully retaining customers with preemptive and proactive service. We’ll unpack exactly what today’s digital customers expect, explain why retention and service matter more than ever, and share examples of real organizations that transformed their approach – and achieved impressive results.